Hello. 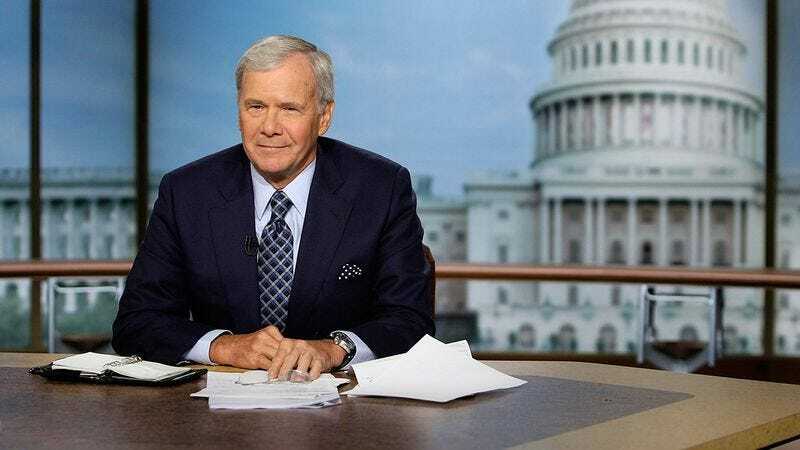 I’m Tom Brokaw, and here is the news. Results from Tuesday night’s New York primary saw the two presidential frontrunners continue to build their leads, as both Hillary Clinton and Donald Trump won their respective contests and added substantially to their delegate counts. Clinton received the closer competition of the two, as Bernie Sanders, the democratic socialist senator from Vermont, came in 16 percentage points behind. Sanders had a better showing in the state than would have been expected months ago, but his recently surging campaign was likely hoping for more. As for the Republicans, Ohio governor John Kasich came in second, with Texas senator Ted Cruz a distant third. With this win, Trump continues his inevitable march to the Republican National Convention as the leader for the nomination, but the party still appears destined for a contested convention. Internationally, North Korea is once again testing the patience of the global community. It has continued its testing of missiles that potentially have the capability for nuclear destruction, in spite of persistent threats of economic sanctions. South Korea, Japan, and the United States have all made statements condemning the recent test. Climate scientists have announced that the polar ice caps are melting at an even faster rate than before, and that in spite of recent worldwide efforts to combat it, we need to be doing much more, otherwise we could be quickly facing a point of no return. We will now take a quick break. Welcome back to the news. In New York, authorities have arrested a Staten Island man accused of murdering his wife and son. He currently faces life in prison. In the world of sports, the Pirates beat the Cubs 6 to 3, the Yankees bested the Royals to the tune of 10 to 5, and after the second round of the PGA Flagstaff Invitational, Jordan Spieth sits on top of the leaderboard at four under par. Rio de Janeiro continues to prepare to host the Summer Olympics in the face of criticism. Today, the Northeast saw unseasonably warm weather, while the Midwest continued its recent cold spell. There was an earthquake in California, but thankfully, no one was injured. In health news, it seems inevitable that the Zika virus is headed to the United States this summer, and health departments are scrambling to try to contain it. Finally, I would like to briefly shine a spotlight on Jennifer Caldwell of Fort Wayne, Indiana. She is the owner and driver of Soup On The Road, a soup truck that has served the less fortunate in the state of Indiana for 50 years this coming Saturday. Jennifer, you are doing incredible work, and congratulations on 50 years. Here’s to many more. I’m Tom Brokaw, and this has been the news. Have a good night.